It has been some time since I’ve given –and/or participated in– a proper poetry reading. When my debut volume of poetry was released —Short Houses With Wide Porches— I had the honor of giving a reading at the legendary Bowery Poetry Club in New York. And I was most certainly honored to read in Orlando, Florida,where virtually all the poems in the book had been written, courtesy of a generous and remarkable grant from the Kerouac Project of Orlando. But since then, readings have been few and far between for me. Partly, life is simply life. And there was also the fact that a rather unexpected return to music rather re-algorithmized my algorithms as well. But the point remains, that you can essentially count the readings I’ve given in the past half-a-decade on about as many fingers as that is years. Which is all the more reason why I’m so pleased to announce that I will be joining three other poets for a reading in San Francisco on May 7th! Now, if that was the story alone, I’d be thrilled. But the original cone in the resonator of this solid steel news is that I ain’t jus’ joinin’ any ol’ three poets. I am in fact going to be reading with one of my true heroes of poetry. His name is Robert Lavett Smith, and I do not exaggerate at all when I say I have been as moved by his poetry as by any other writer ever — living, dead or otherwise. For those of you lurking at cult level status Preacher Boy fandom (and I do know there area at least a FEW of you! ), you may recognize a line from one of Bob’s poems in a song I wrote and recorded whilst living in Chicago:Everything Moves With A Disfigured Grace. The line is the title of a poem that gives Bob’s debut volume it’s title, and pound for pound, it’s one of the most moving collections I’ve ever read. It’s simply extraordinary, and Robert Lavett Smith is an extraordinary poet. I noted that there will be 4 poets altogether. Regretfully, I must state that I am not yet familiar with the other two poets, except by Bob’s recommendation/endorsement. But I look very forward to meeting them and experiencing their work. They are: Buford Earl Buntin and Owen Dunkle. 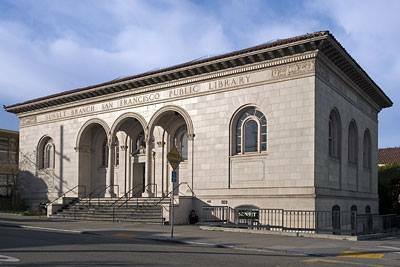 The Sunset Branch Library is located at 18th Avenue and Irving Street. The reading starts at 7:00 p.m. It’s on Thursday, May 7th. I hope you can come. Things like this don’t happen that often. Trust me. Christopher Watkins’ debut volume of poems “Short Houses With Wide Porches” was published by Shady Lane Press (a program of The Jack Kerouac Writer in Residence Project). He has additional poems published or forthcoming in The Massachusetts Review, Redivider, Hayden’s Ferry Review, and more. Christopher Watkins was Writer-In-Residence at The Kerouac House in Orlando, Florida, and is the recipient of a residency grant from The Vermont Studio Center. He received his MFA in Creative Writing-Poetry from The Stonecoast MFA Program at The University of Southern Maine. This entry was posted on Saturday, May 2nd, 2015 at 10:06 pm	and tagged with Poetry Reading, Robert Lavett Smith, Short Houses With Wide Porches and posted in Live Performance, Poetry. You can follow any responses to this entry through the RSS 2.0 feed.